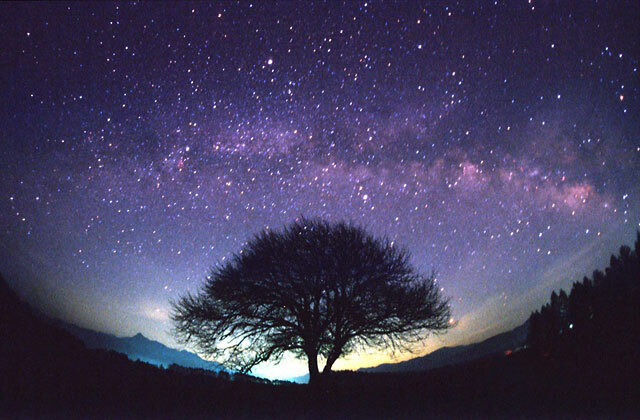 As the darkness gets darker, the Stars get brighter. I believe Jesus is empowering those who are humble and open to His Holy Spirit to grow rapidly in holiness. Yes, the doors of Heaven are open. Pope John Paul II’s Jubilee celebration of 2000, in which he pushed open the doors of St. Peter’s Basilica, is symbolic of this. Heaven has literally opened its doors to us. IT was my fourth, and last day in Medjugorje—that little village in the war-torn mountains of Bosnia-Herzegovina where the Blessed Mother has allegedly been appearing to six children (now, grown adults). I had heard of this place for years, yet never felt the need to go there. But when I was asked to sing in Rome, something within me said, "Now, now you must go to Medjugorje." Indeed, that’s what I’d heard coming from that Medjugorje… miracles, especially miracles of the heart. I’d had a number of family members experience profound conversions and healings after visiting this place. THE explosion of division, divorce, and violence this past year is striking. The letters I’ve received of Christian marriages disintegrating, children abandoning their moral roots, family members falling away from the faith, spouses and siblings caught in addictions, and startling outbursts of anger and divisiveness among relatives is grievous. AS the controversy surrounding the alleged apparitions of the Blesssed Virgin Mary at Medjugorje began to heat up again earlier this year, I asked the Lord, "If the apparitions are really authentic, why is it taking so long for prophesied "things" to happen?" Because you’re taking so long. There are many arguments surrounding the phenomenon of Medjugorje (which is currently under Church investigation). But there’s no arguing the answer I received that day. 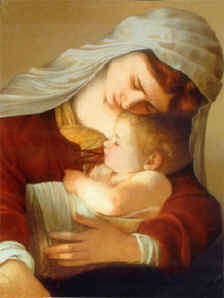 The Catholic teaching on Mary has been the most difficult doctrine of the Church for me to accept. 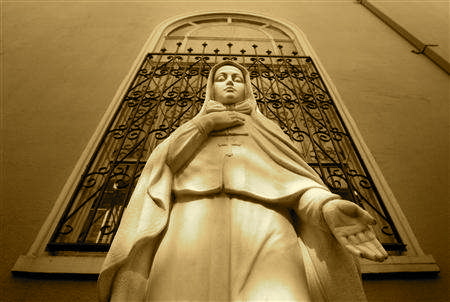 Being a convert, I had been taught the “fear of Mary worship.” It was instilled deep within me! After my conversion, I would pray, asking Mary to intercede for me, but then doubt would assail me and I would, so to speak, (put her aside for a while.) I would pray the Rosary, then I would stop praying the Rosary, this went on for some time! My husband and I celebrated our thirty-fifth wedding anniversary over the week-end. We went to Mass on Saturday, then out to dinner with our associate pastor and some friends, we later attended an outdoor drama “The Living Word.” As as anniversary gift a couple gave us a beautiful statue of our Lady with the baby Jesus. On Sunday morning, my husband placed the statue in our entry-way, on a plant ledge above the front door. A while later, I went out on the front porch to read the bible. As I sat down and started to read, I glanced down into the flower bed and there lay a tiny crucifix ( I have never seen it before and I have worked in that flower bed many times!) I picked it up and went to the back deck to show my husband. I then came inside, placed it on the curio rack, and went to the porch again to read. As I sat down, I saw a snake in the exact spot where the crucifix was. I HAVE been transfixed with the Northern Star the past few weeks. I confess, I did not know where it was until my brother-in-law pointed it out one starry night in the mountains. Whoever you are that perceive yourself during this mortal existence to be rather drifting in treacherous waters, at the mercy of the winds and the waves, than walking on firm ground, turn not away your eyes from the splendor of this guiding star, unless thou wish to be submerged by the storm. WHY do "Catholics" say they need Mary? One can only answer this by posing another question: why did Jesus need Mary? Couldn’t Christ have materialized in the flesh, emerging from the desert, proclaiming the good news? Certainly. But God chose to come through a human creature, a virgin, a teenage girl. 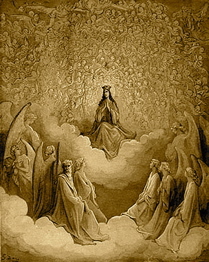 Queen of Heaven (c.1868). Gustave Doré (1832-1883). Engraving. The Vision of Purgatory and Paradise by Dante Alighieri. PMA:J99.1734. "Thou shalt behold enthroned the Queen / To whom this realm is subject and devoted." Mary knelt in profound adoration of her God and Son, Jesus. But when Jesus approached to crown her, He pulled her gently to her feet, honoring the Fifth Commandment "Thou shalt honor thy mother and father." And to the joy of Heaven, she was enthroned their Queen. The Catholic Church does not worship Mary, a creature like you and me. But we honor our saints, and Mary is the greatest of them all. For not only was she Christ’s mother (think about it–He probably got His nice Jewish nose from her), but she exemplified perfect faith, perfect hope, and perfect love. These three remain (1 Cor 13:13), and they are the largest jewels in her crown.